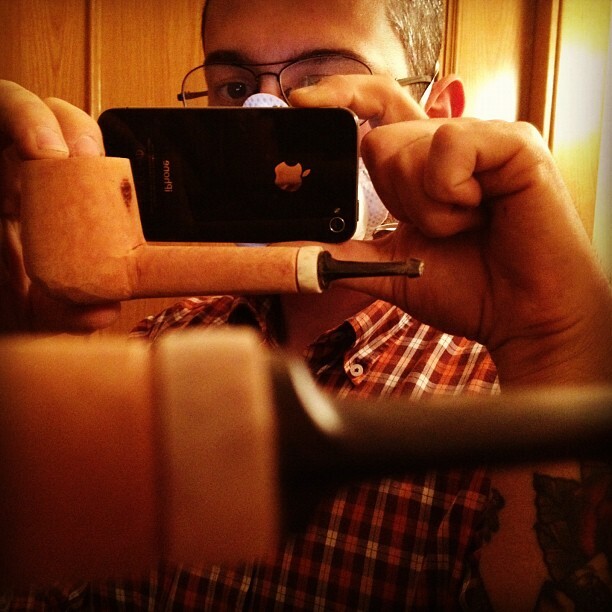 Working on a new pipe. 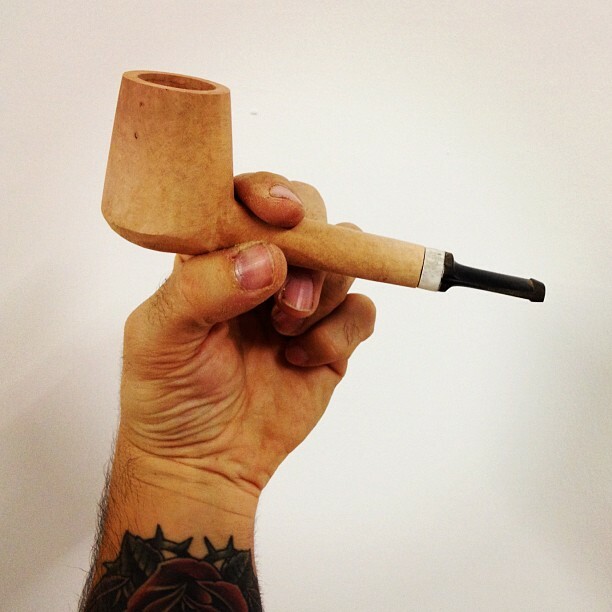 A rounded shank canadian style, also known as Lovat for most of people. Still a lot of work to do on it. 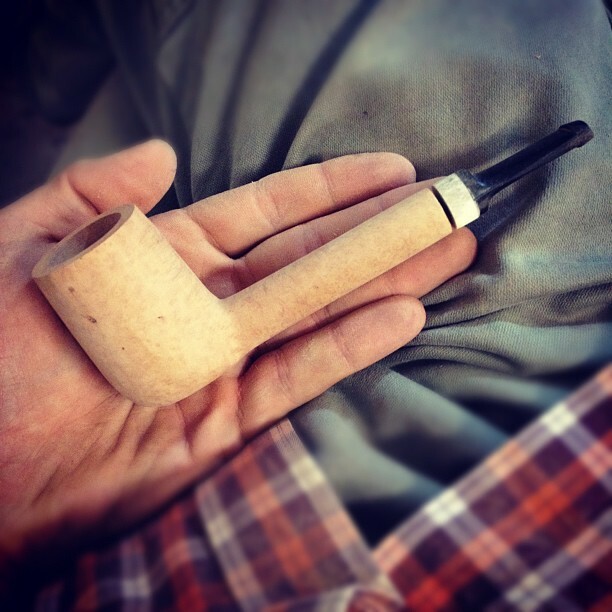 Joan is smoking right now: Soler + Capstan Gold.